SOMETHING I LOVE MOST about historical fiction is the opportunity to contemplate the lives of little and lesser known people – those who weren’t among history’s winners whose story and version of events have been codified into what mainstream society accepts as The Way Things Actually Happened. When I blogged about my favourite media of 2014, I included the movie Belle, which I watched during my plane ride home from Australia. 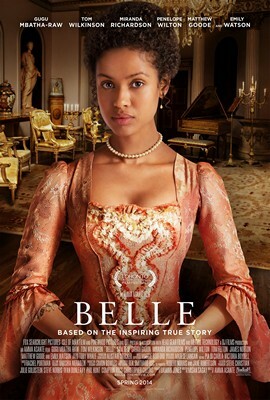 A commenter on that post pointed out that although based on a real person – or more specifically, a painting of a real person – the movie was a work of historical fiction, for only so much is known about the life of the real Dido Elizabeth Belle Lindsay, who was the biracial daughter of an eighteenth-century British naval officer, John Lindsay, and Maria Belle, a West Indian slave. In the movie, we first meet Dido as an impoverished child in 1765 when John’s tour in the Caribbean is drawing to an end. Enchanted by her, John brings Dido back to England to be raised by his uncle, the Earl William Murray of Mansfield, while he heads overseas yet again. Murray and his wife are also raising their niece, Lady Elizabeth Murray, whose mother had died. Dido is raised lovingly alongside Elizabeth as a free gentlewoman, albeit one lacking the same status and opportunities on account of her mixed race. Regardless, she and Elizabeth grow close, a relationship that’s later challenged by unequal wealth among them, their simultaneous entry into the marriage market, and a historic court case presided over by William Murray regarding a shipload of murdered slaves. Belle plays out like a Jane Austen novel of manners and mores, yet featuring a black heroine. Belle herself is presented as a kind, self-assured (but not too assured), self-possessed (but not too self-possessed) lady of the Murray household. She is educated and skilled at a lady’s tasks, like playing the pianoforte and singing, and generally more proficient than Elizabeth at everything. Upon her father’s death, she inherits a substantial annual income, thereby making her a lady of considerable prestige. At the same time, though, it’s considered indecent to have her dine with the family when company is calling. Her standing is too low for her to eat with the family’s guests, yet too high for her to take meals with the servants, most of whom are also black. She was originally raised to be Elizabeth’s particular friend (a sort of obligatory BFF) but by chance becomes more like her beloved sister. Her fortune frees her from the necessity of marriage and provides her a measure of independence and freedom in a society in which she’ll never truly be free. Belle doesn’t have an overly tense plot save the bit concerning the Zong case verdict, in which she played no real-life role. However, for me, the true story is in the movie’s depiction of these various inconsistencies in Dido’s life, as well as the way all her personal relationships are tilted slightly askew because of her race. Historical painting of Dido and Elizabeth, 1779. Like Dido’s interactions with the other black members of the Murray household, for example, all of whom are slaves. Her awkwardness at having come from the same place as them but outclassing them through being both free and gentry is clearly evident. Dido’s relationship with Elizabeth, her pseudo sister, is even more interesting, for they are both disadvantaged in society, but in entirely different ways. For Dido, it’s her race that limits her, although were she not half-black, her skills and wealth would make her a prized addition to the marriage market and doubtless earn her many offers. Elizabeth, meanwhile, is white and conventionally pretty and skilled enough to get by, however she has no money whatsoever save what the Murrays provide for her basic upkeep. She has no rich inheritance to bring to a marriage, which, all things being equal, make her a less desirable bride than Dido – something Dido is forced to remind her during an argument when Elizabeth states that she isn’t worth the attention of the particular man Elizabeth fancies. I really liked that this movie brought exposure, not only to a real historical personage I’d never heard of before, but also a different type of heroine of her “type”. Most often, when we’re presented with historical stories about black people in Europe, they’re usually stories about slaves. Admittedly, a large proportion of blacks in classical Europe were enslaved. However, not all of them were, and it was refreshing for once to be given a different sort of narrative about the lives of black people in olden times. This needs to happen with stories featuring various other ethnicities of people as well. We’re not all just the most substantial historical event that befell us. Historical fiction is also never just about history, for it’s meant to be consumed and considered within a modern context, which requires either a parallel or marked incongruity with contemporary life. 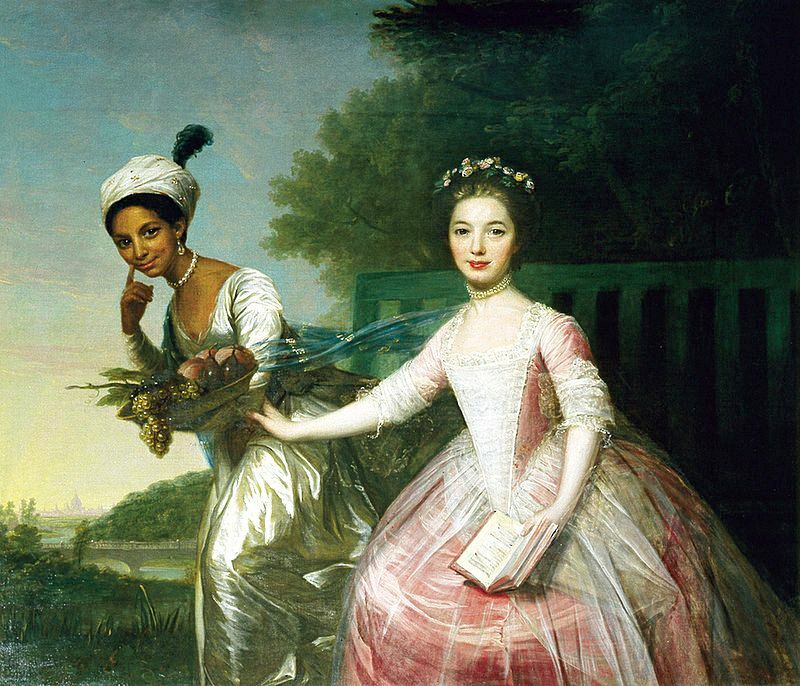 Although not much is known of the real Dido Belle Lindsay, her social encounters in Belle feel all the more believable against the current backdrop of ongoing racial tension and inequality in the United States. Diverse stories are important and diverse historical stories even more so, for it’s only through a more thorough understanding of The Way Things Actually Happened that we learn and grow and come to change the shape of The Way Things Currently Are. What are your thoughts on the issue of the under-represented people of history? Let me know in the comments. This entry was posted in Character Study, Opinions and tagged Black History Month, Characters, Diversity, Historical fiction, History, Movies, Representation. Bookmark the permalink. Thanks for this post. I wasn’t aware of this history vignette -movie. You can imagine the Asian-Canadian community has a lot to say about this re depiction or widespread lack of Asian actors and actresses in movies and on TV in North America. I just discovered that Belle is now available on Netflix, if you’re a subscriber. I predict a re-watch in my future. Yes, under-representation and misrepresentation of all people of colour in media is an important issue in North American entertainment. We need only look at the recent Oscar nominees for evidence of this fact.